In the late 18-th century, Great Britain was a place where the Industrial Revolution began.That controversial period of drastic new living standards fostered profound changes everywhere, and the Revolution was a time when people turned over a new leaf with new possibilities. Clear parallels could be drawn with present Web reality as we are standing on the early stages of the next major revolution. It is a so-called the reinvention of the Web with API in the center of such both digital and business transformations. Discover this meaningful presentation created by Ross Mason, the founder of MuleSoft that will walk you through the deeps of knowledge how APIs have transferred our economy today. Interesting comparison of the another influential economic age - the Industrial Revolution and today's Web reinvention will help you to understand the concept of the API Economy better. 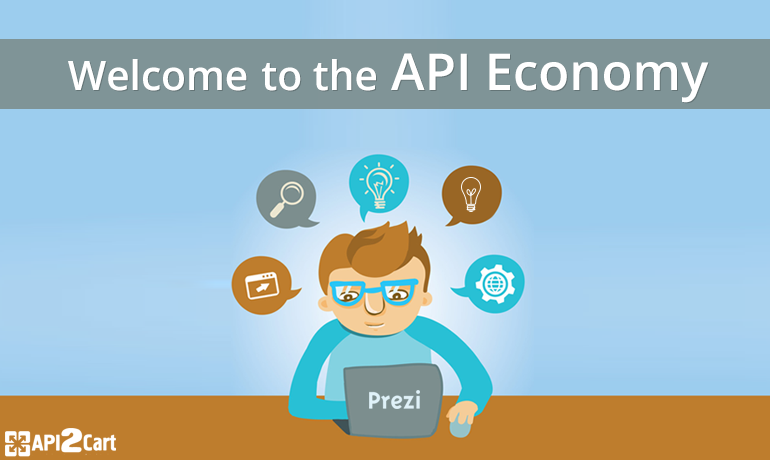 Hope, that this presentation is a valuable resource for you and helped you to understand the complex term of the API Economy better. If you are interested in enlarging your online business possibilities through an integration with 30+ major industry platforms, don’t hesitate to contact us and discuss the details. API2Cart’s unified API will give an added value to your profit-making.